Here at DB Sports Tours, we are proud to announce details for the latest of the Champions Cup coming to you in 2018, being held at Oriel Park – home of League of Ireland Champions Dundalk FC on Saturday 29th of December. 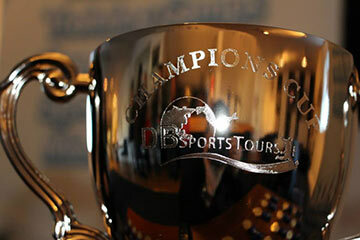 The Champions Cup is at the cornerstone of our work here at DB Sports Tours. With each new edition the tournament has been refined and improved upon, in order for all participants to gain as much as possible from taking part. 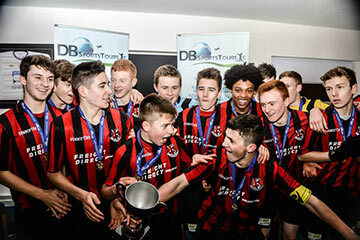 The Champions Cup looks to bring the very best of all of Ireland’s elite youth footballers together. 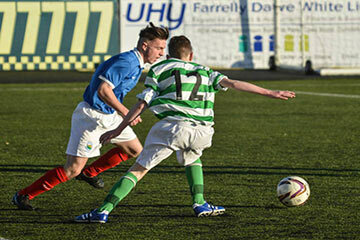 The SFAI’s (Schoolboys Football Association of Ireland) best take on their Northern Ireland counterparts in the best of NIFBA (Northern Ireland Boy Football Association). The competition hosts matches at three separate age groups: (under-13, under-14, and under-15 boys). 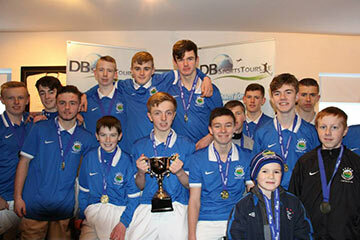 The boys age groups represent a match between the very best from both the SFAI and NIFBA. The game will be 30 minutes a half at all ages, with 5 minute break in between each half. If the games finish a draw there will be no extra time the games will go straight to penalties. ENTRY FEE: – €5/£5 per adult (over 16 years old) – €2/£2 per child (Under 16 years old) – All Proceeds will go to the Friends of St. Lukes Cancer Care in Rathgar. We see this competition as vitally important for the development of the Irish youth soccer players of today, providing them with a unique platform to prosper and develop as players. DB Sports commemorative medals for all participating in the Tournament. Through months preparation we believe this will be the best edition of the competition yet.